Man's best friend is arguably the best companion to have with you out on the trail. But just because your hiking partner is a quadruped doesn't mean that it's a good idea to act like they'll be right at home in the wilderness. 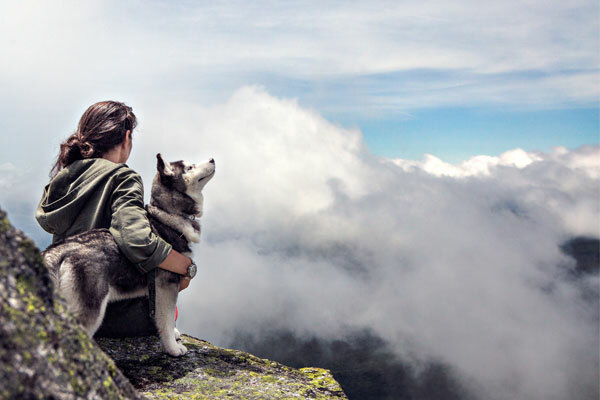 Domesticated dogs are pretty far removed from their wild origins and it's important to take that into account if you're going to take one with you for a hike. When you go for a hike, you probably have something of a routine. You find a great hike on Trailvoyant, you pack your food and water, you dress appropriately, and you pay attention to certain things out on the trail. Taking Fido with you involves many of the same things, just tailored for their unique requirements. Before you head out onto the trail, there are a number of things that you'll want to consider well ahead of time. If your dog runs off or gets lost and someone else finds them, will they be able to help get them home? Make sure your dog has an up-to-date ID tag. Better yet, since the collar can come off, get them microchipped. 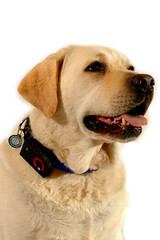 Instead of waiting for someone else to find your dog, you can locate it yourself by attaching a GPS beacon to them. It's important to note here that if the pooch has been microchipped, it has absolutely no GPS tracking capabilities so an additional device would be required. Of course, your dog should be on a leash at all times and if they're likely to run off, they probably shouldn't be on the trail anyway, but things happen out there and it might be nice to have a good way to find them if you're separated. Suffice it to say that there are a lot of microscopic things out on the trail that could be bad news for your pup. At the same time, your dog has the potential to leave bacteria out there that could cause serious damage to the wildlife as well. You should definitely talk to your vet about recommended vaccinations, such as heartworm and rabies, before taking Fido on a hike. You might know how to patch yourself up, but would you know what to do if your furry friend wound up with a cut or gash? If you don't know how to do either, we would strongly recommend that you take separate courses for administering first-aid to both humans and canines alike. Check your local pet store or talk to your vet about how to sign up for an animal first-aid class. Control is the name of the game here, and it's important that you maintain it. That's why a good rule of thumb is to keep the human to dog ratio to 1:1. In addition, it would also be prudent to limit the number of dogs in your party to no more than 2. Three dogs can easily become a pack, and that could be difficult to control in exciting situations. Is your dog a short hair that's about to go out for a romp in a snowstorm? Is your husky in for a rough day when you take him out for a hike on a triple digit day in the desert? Every year, people get caught in situations where they need rescue or recovery because of adverse weather conditions. Do yourself and your pooch a favor and check the forecast before you set out for the trailhead so that you can plan appropriately. What weather conditions your dog is suited for can vary greatly depending on the breed, so do your homework and talk to your vet about what your dog can weather. Do your homework and check the regulations regarding dogs on the trails you plan to use. 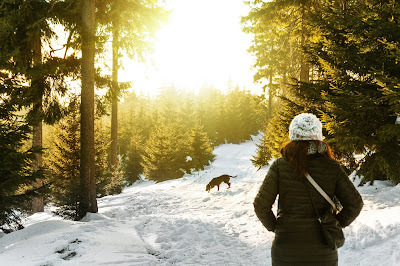 Yes, Trailvoyant does have a dog friendly hike filter that makes finding a great hike that you both can enjoy super easy, but if you're building a custom hike, you'll want to do your research. Generally speaking, national parks in the United States prohibit canines on the trails, but national forests tend to permit them, provided they are on a leash. That's just a rule of thumb though and there are exceptions. In addition, state and local parks will vary on their regulations from place to place. 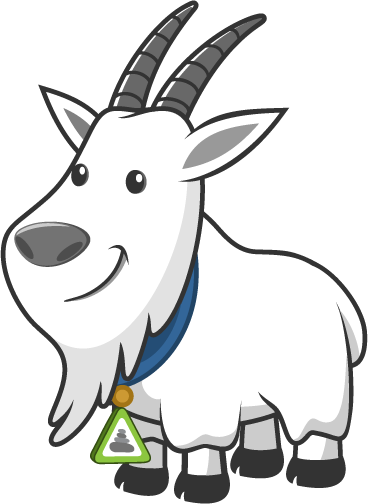 It's important to know what to expect on any given trail to ensure that your favorite quadruped is even capable of doing it. For example, some hikes feature cables or ladders that are necessary to ascend a steep rock face and therefore may not be super dog friendly. When you read hike profiles on Trailvoyant, we'll make sure to give you a heads up about such features so that you can plan accordingly. Hopefully you wouldn't take a co-worker who's never hiked before on a 20 mile trek without easing them into the activity and learning how they handle it. The same should be true of your dog. Work up in intensity - Start with short hikes on comfortable surfaces with low weight (if any) and gradually experiment with length, elevation gain, surface conditions, and pack weights to ensure that you don't get them in over their heads right out of the gate. Consider their health - Is your dog too young for hiking? Have they been sick recently to where they could spread bacteria through their urine? It can happen up to a year after recovering from some viruses. Do they have hip dysplasia to where they would need pain medication? Consider their behavior - Once again, control is extremely important when taking a dog out on the trail because they're likely to encounter other hikers and other dogs, in addition to the local wildlife, and it's imperative that they can remain obedient. If your dog tends to be a bit of a spaz who doesn't obey voice commands, barks a lot, and/or is easily distracted and carried away, it would probably be best to spend some time at a training academy before bringing them to the wilderness. What does your own preparation look like? Did we miss anything that you've found to be helpful with hitting the trail with your best friend? Tell us your thoughts in the comments!